Published: Sept. 16, 2016 at 10:15 a.m. 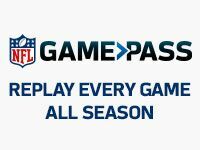 Updated: Sept. 16, 2016 at 10:57 a.m.
For years, the Tennessee Titans operated as an outpost for high-potential, low-production enigmas at the receiver position. That ill reputation is changing thanks to rookie Tajae Sharpe. After looking like the team's best pass-catcher throughout the preseason, the fifth-rounder delivered in Week 1 with a team-leading seven catches for 76 yards. Sharpe's output marks the second-most grabs in Week 1 by a rookie picked in the fourth round or later since 1970, per The Tennessean. Still, none of this comes as a shock to veteran teammate Andre Johnson. "What he did in the game on Sunday really wasn't surprising to me," Johnson, the seven-time Pro Bowl wideout, told the newspaper. "It's kind of funny because you ask guys about when they were drafted, and he was a fifth-round pick. It's just kind of crazy to hear that, just looking at his talent. I think he's going to be a great player." Sharpe's rapid development stands in contrast to what Tennessee netted from Justin Hunter and Dorial Green-Beckham, two rather frustrating wideouts who were released and traded, respectively, before the start of the season. Quarterback Marcus Mariota also has reliable tight end Delanie Walker on the roster, but it was Sharpe who saw constant attention with a team-leading 11 targets against the Vikings last weekend. "I think he's been impressive since the day he got here," Titans coach Mike Mularkey said. "Obviously we saw that early because we moved him up the ranks pretty quickly. And the game didn't fluster him at all. There are some things -- he made everything faster than it needed to be. I think when he settles down, the more game time he gets, I think he can be more of an explosive player." Sharpe doesn't boast blazing speed, but he showed off top-notch hand strength on a pretty sideline grab against Minnesota. Mularky thinks the 6-foot-2, 194-pound wideout will only become more dangerous as he adds muscle. "I think the more he's in the weight room, the more he's around what we do, conditioning-wise, the way we eat -- it's not a college life, it's a full-time job now," Mularkey said. "And I think the more he's around us and develops into a bigger-body receiver, he can be a serious threat."